Recently we got a Fritz!Box as a new DSL modem, our old ZyXel P-660HW suffered frequent crashes (it froze or interrupted the internet connection) especially when there were a lot of devices associated with the wireless network and/or a lot of banwidth used by someone. The Fritz!Box WLAN 3270 is a great piece of hardware and has never crashed so far by the way. 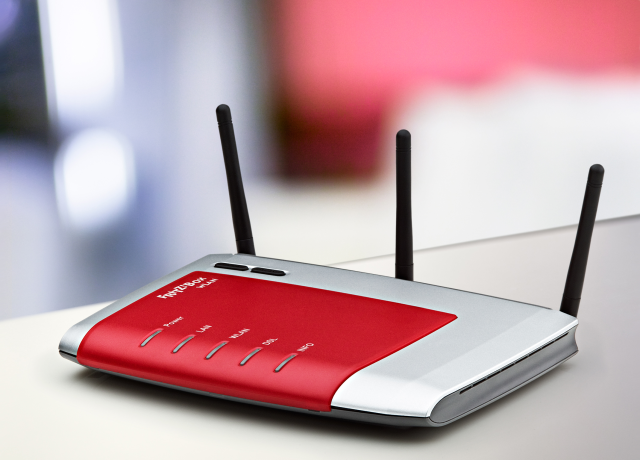 Because it supports the IEEE_802.11n standard it offers quite a satisfying range and speed. But due to two desktop PCs which aren’t wifi capable I needed to set up our Linksys WRT54G router as a wireless network bridge. The first part was to download dd-wrt, an alternate firmware, and flash the device with it. You can do this under the tab “Administration” –> “Firmware Upgrade”. Note that this procedure can potentially brick your router (=you can’t access nor use it anymore), for a full description see this howto the dd-wrt wiki. You should be asked to change your password and username. Carefully type these in. Hit change password. 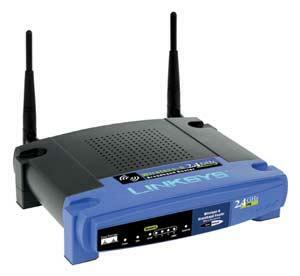 Go FIRST to wireless, wireless security and enter the security type and key that matches your primary router. Bridging with WPA2 security does NOT work. Believe me, I spent hours figuring out the problem and looking why there was no link. Your Fritz!Box (primary router) has to be set to WPA or WPA + WPA2 and your WRT54G accordingly to WPA!! Goto Setup, basic setup and enter a router Local IP address of 192.168.178.10. You can also enter another IP, just make sure it’s in the same subnet (192.168.178.X) and outside the DHCP range of your primary router (Fritz!Box: 192.168.178.20-200) Leave subnet mask at 255.255.255.0. Goto Administration and hit “Apply Settings” at the bottom. Set your computer back to DHCP (auto IP and auto DNS). And that’s it. You should have a working wireless bridge now with the wired computers in the same subnet as the wifi devices. Worked for me so far. Although I haven’t tried it yet, it should work just as well in “Repeater Bridge” mode. UPDATE: I’ve set the WRT to “Repeater Bridge”, entered an SSID (different from the first one) and set up WPA2 for the Repeater network and it works like a charm. Nice post. I was checking constantly this weblog and I’m impressed! Very helpful information specifically the ultimate section 🙂 I deal with such info a lot. I was looking for this certain information for a long time. Thanks and good luck. Woah this blog is magnificent i really like studying your articles. Keep up the good work! You understand, lots of persons are looking round for this info, you can help them greatly. It seems to me that this web site doesnt load in a Motorola Droid. Are other people getting the exact same issue? I enjoy this webpage and dont want to have to miss it any time Im gone from my computer.